However, the Old Farmer's Almanac did not predict a huge hurricane like Harvey along the Gulf Coast. CONCORD, N.H. — The annual Old Farmer’s Almanac, which claims an 80 percent accuracy rate in its forecasts, predicted the possibility of a major hurricane along the Atlantic Seaboard, but didn’t have the same insight about the Gulf Coast. When it came out a year ago, the venerable guide to weather, planting and homespun advice said the best chances for a major hurricane this year would be in the early part of September, from Florida to North Carolina. As of Friday, there were three active hurricanes in the Atlantic and Gulf of Mexico, with Hurricane Irma remaining a powerful threat to Florida. And the hurricane season still has two more months to go. Almanac compilers in Dublin, New Hampshire, base predictions on a “secret formula” going back to 1792 that’s influenced by sunspots, climatology and meteorology and refined by modern scientific calculations. Almanac editor Janice Stillman said a hurricane the size and scope of Harvey would have been difficult to forecast. Believed to be North America’s oldest continuously published periodical, the almanac is not to be confused with The Farmer’s Almanac based in Maine, which is in its 200th year and came out last month. 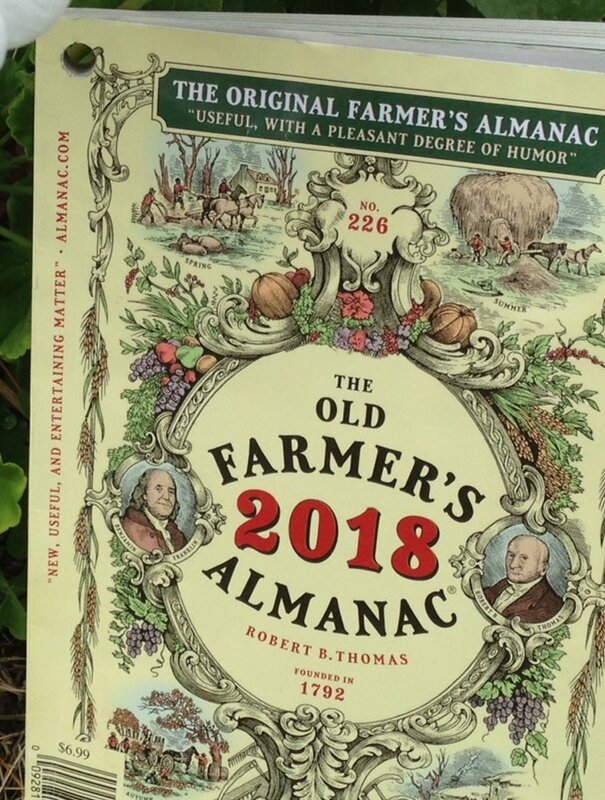 The 226th edition of the Old Farmer’s Almanac comes out Tuesday, with 2018 predictions. Although scientists don’t trust its unconventional weather formula, it’s still a tradition that remains popular with loyal readers. The almanac, founded by Robert B. Thomas, prints 3 million copies a year, and has 1.5 million Facebook followers. It also produces garden guides, newsletters and cookbooks, as well as a special almanac for children every two years. Among its articles this year are 33 “stellar” moments in time, little-known facts about parsley, and a salute to chiffons, such as the fabric, the singing group, and the baked goods. Trends getting attention include stylists re-creating hairstyles of ancient Romans, real estate agents using neighborhood “walk scores” to sell houses, and “doga” class – for dogs doing yoga with their owners. Almanac reader Kate Bowen, 35, of Putney, Vermont, is among a group of farmers profiled in its main article on the growing number of ethnically, racially and culturally diverse farmers in the United States. Bowen, who with her husband expanded the farm from just selling forest products to raising livestock, is an advocate for protecting farms, helping veterans on the farm, and getting a fair price for food.